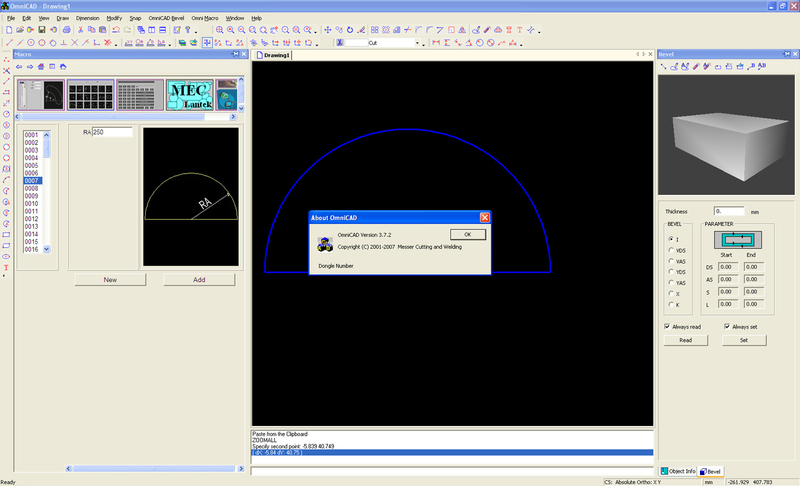 OmniCAD� is a 3D surface modeler CAD integrated with a 2D environment. OmniCAD� is a sophisticated software produced and developed over the years for mould and die designing and for constructing complex 3D models, its main aim being precision problem solving. Its numerous verticals, backed up by power and speed calculation, versatility and precision, make OmniCAD� an essential tool which has today become an absolute reference point in the automotive environment. No efficient verticals or automatisms could be possible without a well designed engine. OmniCADs verticals are powerful, thanks to a stable, robust and well performing engine, to the point that the most difficult operation seems simple and natural. Production of all surface types with pass and tangency conditions, creation of blending surfaces with group selection, automatisms to create groups of surfaces bounded to certain circumstances, projection modelling and multiple trimmings on various surfaces. Functions to create surfaces starting from an existing model. Verification function on the surfaces: tangency conditions, convexity etc, functions for approximation and conversion of different types. Functions for a complete 2D drawing. Macro-automatisms and commands with finishing functionalities make up a tool able to complete a die design within very competitive time limits. For certain operations that have a significant effect on the speed of project completion (for example the trimming development), OmniCAD� must be the final choice.